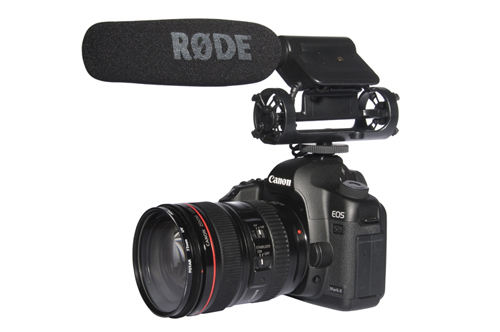 For those of you who’ve purchased the new Canon 5D Mark II and are actually using it to record video clips, you’ve probably noticed that the audio portion of the recording needs a bit of help. The crew over at B&H did a microphone test using the 5D Mark II and have posted their results here: The Sweet Sounds of the Canon 5D Mark II. Now you’ll have no excuse for not getting good audio.